If you look at the Instagrams of almost any Asian person in Southern California (or people that associate with them), you'll come across quite a few posts depicting meat on grills. If you don't know what that is, it is Korean Bbq, or kbbq as you'll see most people post for short. How it works: When you go to a kbbq restaurant, there are usually different levels to choose from, obviously with the more expensive levels having more meats and many times seafood as well. One of the main attractions of Korean bbq to people is the All-You-Can-Eat (AYCE) aspect that many kbbq joints have. Not every restaurant is AYCE, but many are. On top of that, depending on where you live, it can cost as little as $10 for all the meat you can eat. You can see why people go so often. Another unique aspect about kbbq is the side dishes, called banchan. At every Korean restaurant, whether it is kbbq or not, it is customary to have banchan served with your meal, and you can have as many servings of banchan as you want. On top of that, you also cook your own food, as you've probably noticed from the pictures. There are some kbbq places that can cook the food for you, but let's face it: it's always more fun to cook food yourself. The only downfall is that you smell heavily of meat afterward. Types of Meat: Kbbq can have a wide array of different meats/seafood, but there is two types of meats that I have noticed at every kbbq place that I've been to. Those two meats are beef brisket and pork belly. Other meats included in AYCE packages can include anything from chicken to pork to beef cheek to prawns. Sauces: On top of the typical Sriracha, Chili, and Hoisin sauces, there are two sauces that you could dip your meats in. One is brisket sauce, this sweet-tasting sauce with a thin consistency that is amazing with the beef brisket, hence the name. The other one is oil with salt. It's probably not the healthiest thing for you, but it's still good. 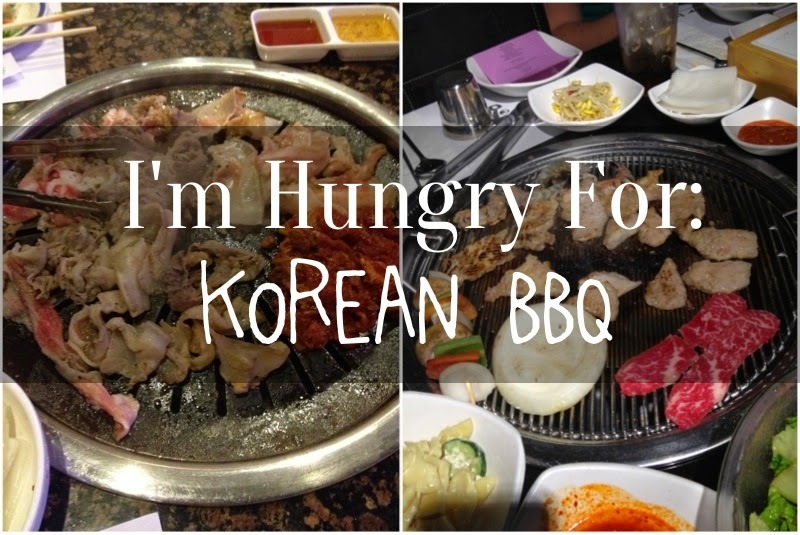 I reviewed a local Korean bbq restaurant last year too, if you are interested in some of the foods I ate while there. I think I've gone over just about the main gist of the way Korean bbq works. Have any more questions? Leave a comment below! Oh, and HUGE tip: TIP. I haven't been to many Korean bbq restaurants but all of the ones I've been to will practically chase after you if you don't tip. I know that we are technically not obligated to tip, but Asians want their tips haha. I've only not tipped once (woops!) because the people I went with and I only had enough to cover the bill without tip. They chased us out the restaurant and said we'd be banned from the place if we ever did that again. However, I think if you go to more expensive places they won't do that. That place is one of the $10 places so I can see why they do it. It may not be right, but hey, that's just how they do it. It's up to you if you will go back or not.